Prepping for survival can seem overwhelming, especially when just starting with limited resources. Lets look at the scenario where you don’t have much money, you’re on a tight budget, but you’re convinced and motivated that you need to begin prepping for an uncertain future. How do you prioritize… and what do you do first? While you are beginning the process of becoming better prepared, you should know that the goal is more than just accumulating ‘stuff’. Prepping becomes a way of life, a mindset of critical thinking and risk awareness, a lifestyle of more self-sufficiency, frugality, practicality… it is a never ending process of learned skills including how to feed yourself with less dependency on external systems, and much much more if you let it. If you have limited resources, you might think that this is impossible. The thing is, take a hard look at your budget – what you spend your money on. There is nearly always a way to adapt what you’ve been spending each week/month to alternatives whereby you can squeeze more out of your earned dollars. Having said that, the first thing you need to do for preparedness when just starting, is to procure the basics of sustaining life. The necessities for life. Apart from the air that you breathe, you first need Water, and next you need Food. In that order. Water is a resource which often gets ignored or overlooked because of it’s seemingly endless supply, and the fact that it always comes out of your faucet at home. Every day, we need to intake about 2 to 3 quarts of water. Some of this comes from the food we eat, maybe twenty percent, but the rest is from what we drink. Think about this… If the regional power goes out, depending on your municipality it may not take long before the water pressure may drop or cease, depending on your location, situation, and the municipal backup generator (and fuel resupply) situation. With very rare exception, you will not survive more than 3 to 5 days without any water from one source or another. Period. You will also need water for other uses such as sanitation, washing, etc. These secondary uses will quickly add up to a substantial requirement each day. For many people, natural water sources are often readily available or nearby (except if you live in desert regions). Maybe a nearby reservoir, a river or stream that is not far away, or a lake or pond nearby, will all provide alternative sources of water. If you’re figuring that if you need to, that you can simply go get the water from these nearby sources, remember this… water is HEAVY, about 8-pounds per gallon. You will need a practical method to transport that water from source to home, and containment vessels for transport and storage. You could drive to the water with a vehicle, but you need to consider how you would accomplish this without a motor vehicle… a cart and buckets. Could you do it? If you depend solely on a municipal water source, and you do not live near enough to an alternative source of water, then you will need to make other preparations. You could choose to stock up and store some extra water which will keep you alive – but will eventually run out if a SHTF disaster is bad enough and long enough, or, you may be forced to leave the area in search of water resources. How Much Water Do I Need for Survival Preparedness ? Statistically, a 200 pound person will need about 3 quarts of water per day, strictly for consumption. Lets add one more quart for a safe margin and call it a gallon of water per day, or 7 gallons per week per person, strictly for consumption. While a lesser person will need a bit less, it’s close enough for determining what you’ll need. Do the math and figure out what you will need for everyone in your household for the length of time that you are preparing for. As an example, 2 adults for 4 weeks will require about 56 gallons of water (conveniently about the same amount that a 55-gallon barrel/drum will hold). It adds up quickly though. Remember, even more water will be needed for cooking, cleaning, and sanitary reasons. For those who live where there is adequate rainfall throughout much of the year, you can utilize rain runoff from the roof and gutters into water collection barrels. Remember though that you will need to filter and purify this water before drinking. Consider methods to filter and purify the water that you plan to consume. I suggest that you consider investing in a good drinking water filter. Or several (including smaller portables that you could keep in kits). If you rely on well-water, your primary concern will be electricity. If the power goes out, so does your well pump. A generator will provide temporary power, until the fuel runs out. You might also consider solar power alternatives with at least enough ‘juice’ to run a well-pump. How Do I Store Water ? A guideline to storing drinking water is to filter and purify it first, so that the water itself won’t be conducive for ‘growing’ contamination over time. You might choose to mix 1/8-teaspoon, or about 8 drops of regular unscented bleach to each gallon of water for purification (recommended by the WHO and CDC). When in doubt though, prior to drinking, boiling the water will assure the best safety precaution. Many people store store water in cleaned containers such as 1-liter soda bottles. There are also specially designed water jugs that are apparently safe for storage , and are widely available in varying sizes. 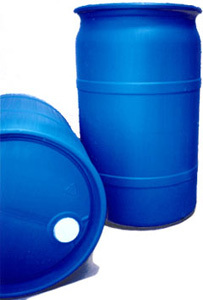 You might choose large quantity water storage in 55-gallon drums (you won’t be able to move it once it’s filled!). It’s best to store the water in a dark environment away from heat. It is generally recommended to drain and refill the drinking water containers every six months or one year. This is not critical though, because water will basically last forever, but a periodic check for impurities, freshness, or problems is a good idea. You will also need a hand pump for the barrel, or a spigot installed near the bottom. Beginning your food storage preps is actually pretty easy, even with limited resources. When you visit the grocery store, always try to buy on sale. Take advantage of two-for-one deals. Use coupons. Shop smarter. Buy generic. You may not like them all, but there are lots of foods that are fairly inexpensive which you could buy to start building food storage. When you’re just starting out, it doesn’t cost much to buy a 20-pound sack of rice while also squirreling away bags of beans. For motivation, keep these ‘extra’ foods separate from your main food supply. Watch it grow. Become motivated to make it bigger. Storing your extra food is also pretty simple. A basement is generally a good place because it’s cool, BUT, beware of moisture. 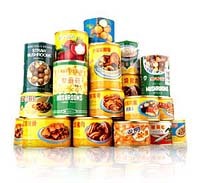 You don’t want your cans to rust, or moisture or heavy humidity to seep into your foods or containment. You might consider storage bins, of which there are a multitude of sizes and shapes. Some will even fit in the space under your bed. Bins with lids are good because they will also keep critters out. 5-gallon buckets. Boxes. Shelves. Ziploc bags. Vacuum seal bags. —————————— So, the idea is to first get started with water storage and then food storage. Even with limited resources, this should not be difficult if you really want to do this. When you feel that you have established a decent base, then you can consider moving on to additional preps. Just bear in mind that you should go about your preparedness plan in an order of priority that begins with your basic needs for survival – before you go on to other things. Written by: Ken Jorgustin on October 8, 2013. Previous PostObamacare: The Fatal Blow to the Middle Class!